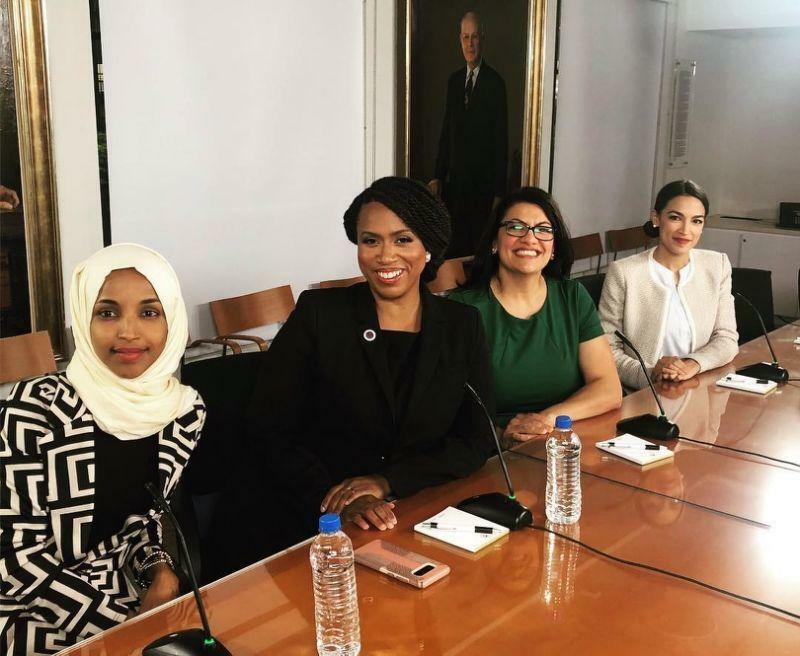 Did Rep. Rashida Tlaib, Rep. Alexandria Ocasio-Cortez, Rep. Ilhan Omar, and Rep. Ayanna Pressley pose for a photo in front of a photo of Osama Bin Laden and an ISIS flag? No, that's not true: A photo taken of the four freshmen members of congress was photoshopped to add the portrait of the late Al Qaeda leader and the flag of the ISIS terror group. The actual photo was taken as the newly-elected woman met in a Capitol Hill conference room in November 2018. The original photo was shared by several of the women and quickly spread across social platforms. These women have each become targets of false rumors and memes attacking their loyalty to the United States since voters chose them in the mid-term elections and gave control of the House of Representatives to the Democratic Party.